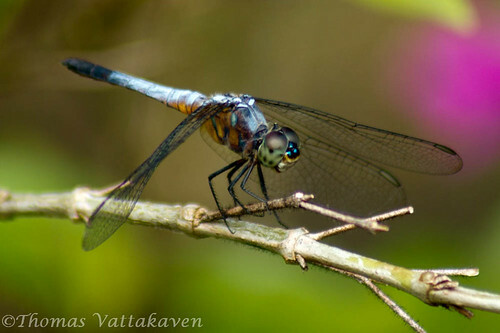 Back to species profiles of dragonflies, here’s a Rufous-backed Marsh hawk dragonfly (Brachydiplax chalybea). 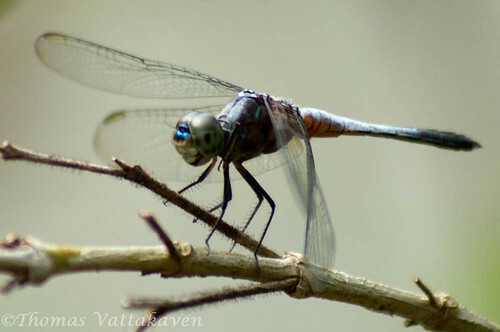 Notice the ochre metallic blue on the face of the dragonfly, which easily distinguishes it. 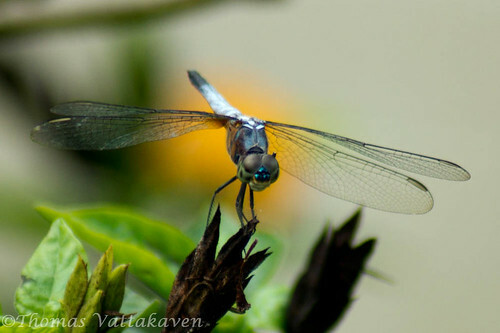 Another distinguishing feature is the yellow wing-spots with a black border. The thorax is a rusty brown colour. 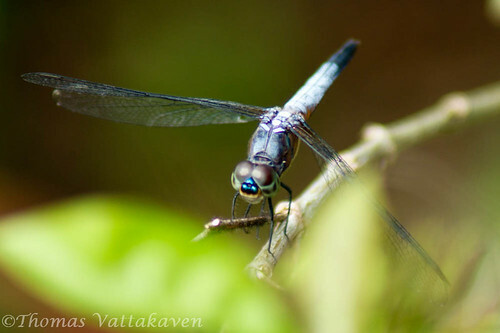 While males have a bluish abdomen, the females have a more ochreous colour. 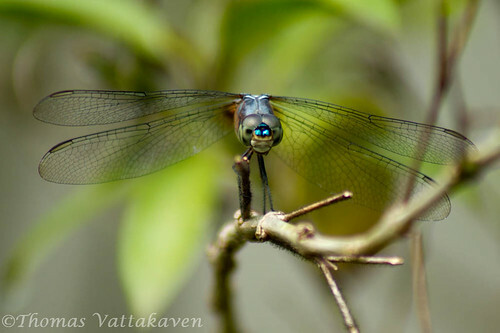 Like most other dragonflies, these too can be seen around marshes and ponds or perched on twigs.